Countdown to Calamity or hope for the future? What hope for the future? Many people are waking up to the fact that the world really is threatened with disaster on multiple fronts – weapons of mass destruction, economic collapse, damage to the environment, the Middle East conflict, violence, immorality and breakdown of society. All of these signs point us to the coming time of tribulation and our only hope – the return of Jesus the Messiah. Published by New Wine Ministries. Author Tony Pearce. Cheque payable to “Light for the Last Days” please. Allow 14 days for delivery. Address for ordering: Messiah Factor, BM 4226, London, WC1N 3XX. Never before have so many things been available to so many people. Never before has it been so easy to travel from place to place. Never before has a global society like ours existed. The problem is that it all depends on the easy availability of energy. What happens if the energy sources are cut off or run out? Will our society hold together or fall apart? Will a dynamic strong man emerge to offer a false peace or security? 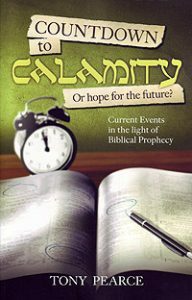 Are we heading for the crisis prophesied in the Bible for the end of this age? 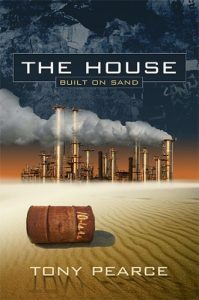 In The House Built on Sand Tony Pearce looks at the present world situation in the light of the biblical prophecies of the end of days and return of the Messiah, Jesus. Find out how you can find a place of safety from this coming storm. 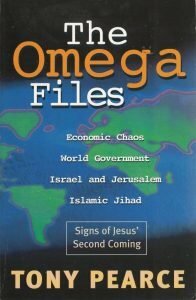 The Omega Files covers a range of issues, including the growing moral and political chaos of our world, the coming together of nations and religions, the return of the Jewish people to Israel and the staggering developments in technology. It shows how all these things are happening in fulfilment of the Bible prophecies announcing the return of Jesus the Messiah. So we should get ready for this great event and the glorious new world order which he will establish at his return.